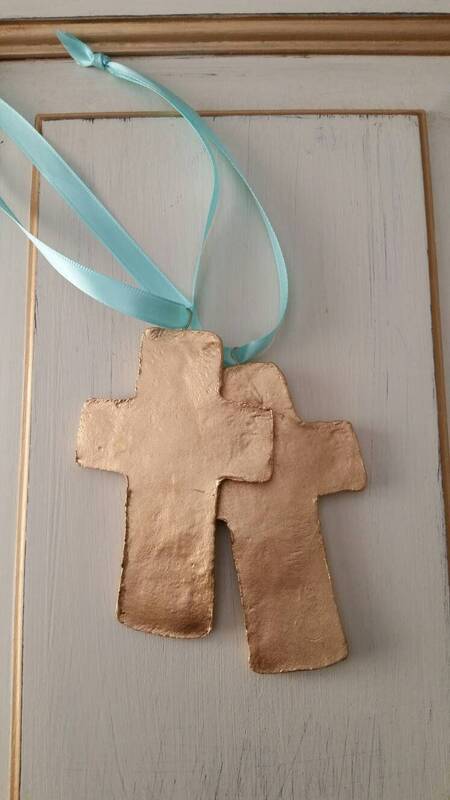 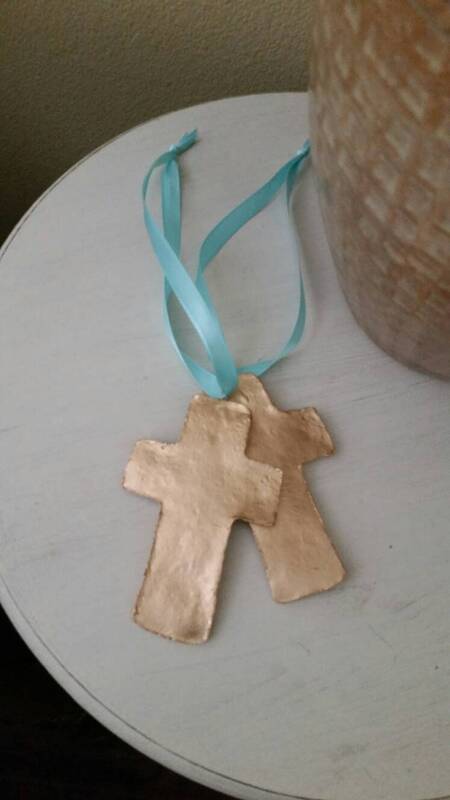 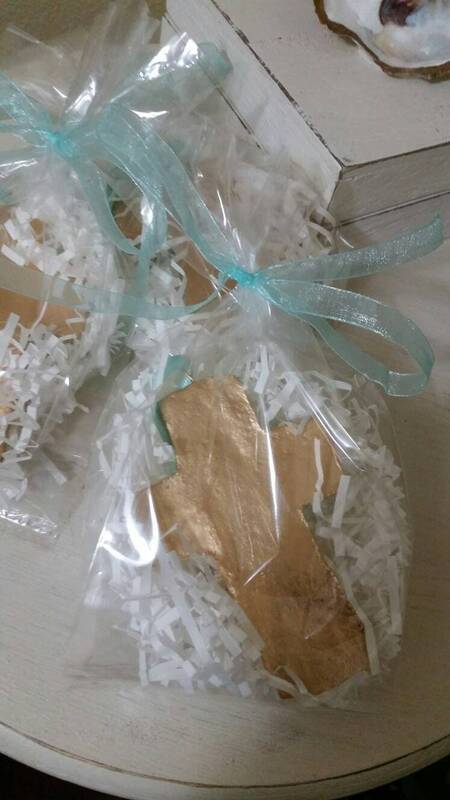 Gold Finish - Handmade Large Clay Hanging Cross - Ornaments Or Gift Tags - Blessing - Hostess Gift - Housewarming - Tiffany Blue Ribbon. 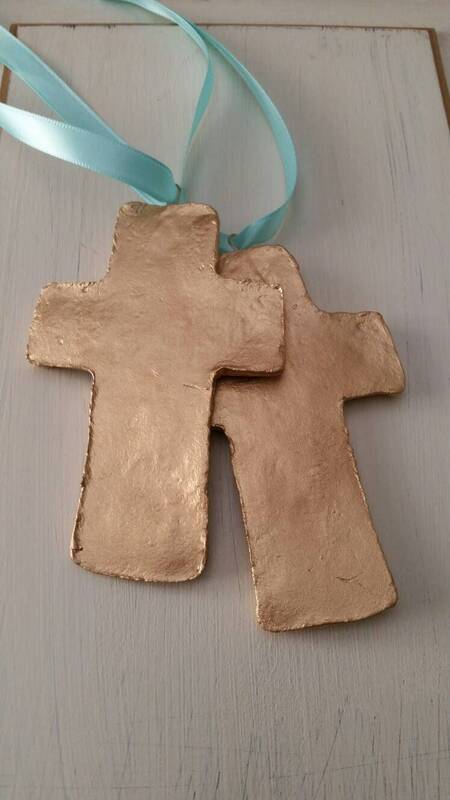 Handmade Large Clay Cross With a Beautiful Gold Finish I reminder of how blessed you are. 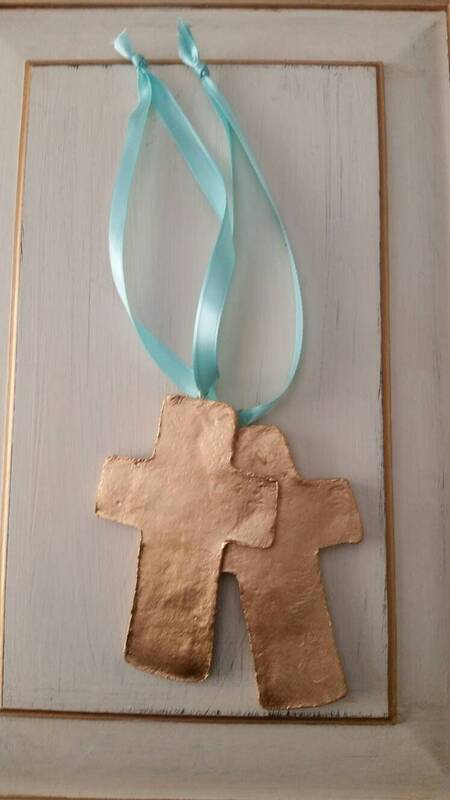 The one pictured is on a satin Tiffany Blue Ribbon. 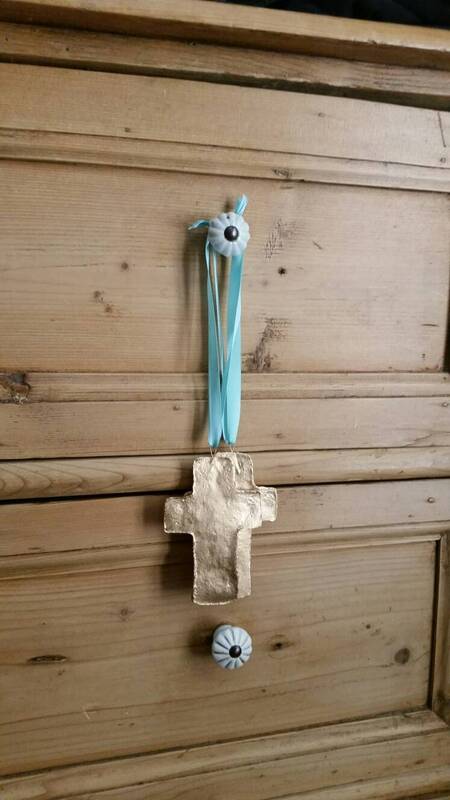 If you would like a different color ribbon just ask.